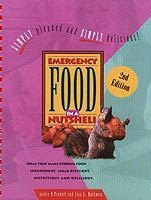 Over the past several years, Leslie Probert, co-author of one of my favorite emergency preparedness and food storage books, "Emergency Food Storage in a Nutshell," has written some very useful articles for the Deseret News newspaper here in Utah. Since some of my readers don't get the Deseret News, my Christmas gift to you is a list I've gathered of the past 3 years of practical food storage articles written by Leslie. When I heard Leslie speak at a BYU Campus Education Week, she changed my life. Well, actually she changed the approach I took to food storage. 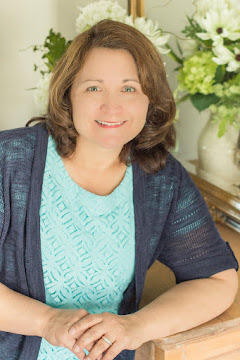 I don't think I would have moved forward with preparedness like I have, without the insight of Leslie Probert. Reading books by people who actually use the food they store is enlightening. Leslie is the mother of 3, and has a degree in Home Economics. Take some time over the Christmas break to read some of these great articles. Then set a New Year's resolution to get moving with food storage! Food Storage Essentials: What about storing chocolate? Food Storage Essentials: Why store wheat? What about a grain mill? Food Storage Essentials: Just how nutritious are sprouts? Food Storage Essentials: What about storing sugars in long-term storage? Food Storage Essentials: Moving? What to do with food storage? Food Storage Essentials: Building a food storage: How much is peace of mind worth? Food Storage Essentials: What about storing barley? Food Storage Essentials: Food storage planning — what's for lunch? Thanks Valerie! What a wonderful resource for those of us that live outside the SLC area. I highly appreciate you posting these articles. I hope you and your family had a wonderful Christmas. I hope you have a wonderful New Year.